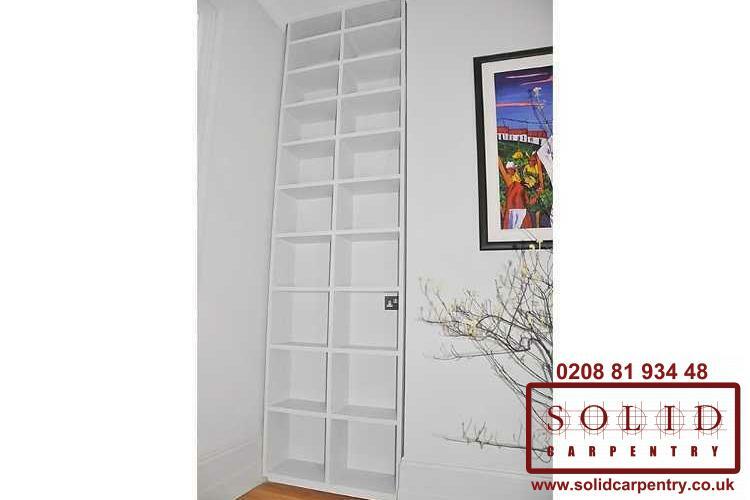 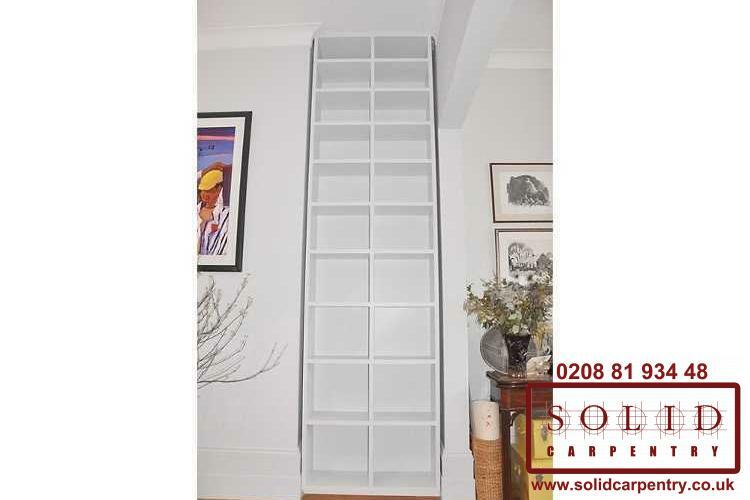 A set of bespoke fitted bookcases can completely alter the look and feel of a room. 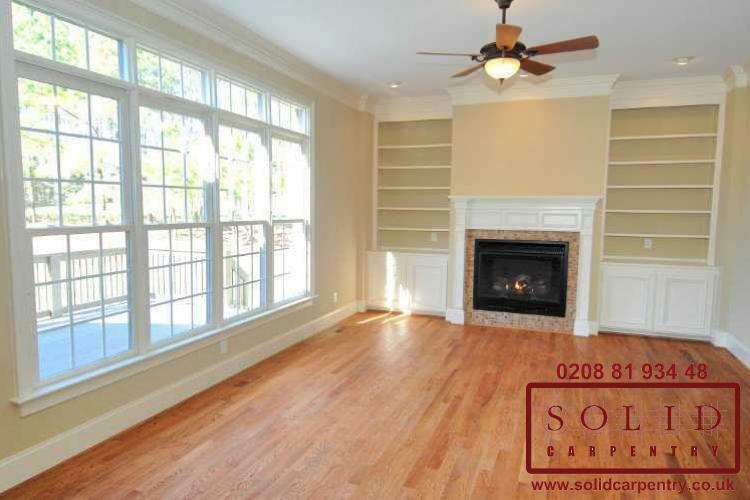 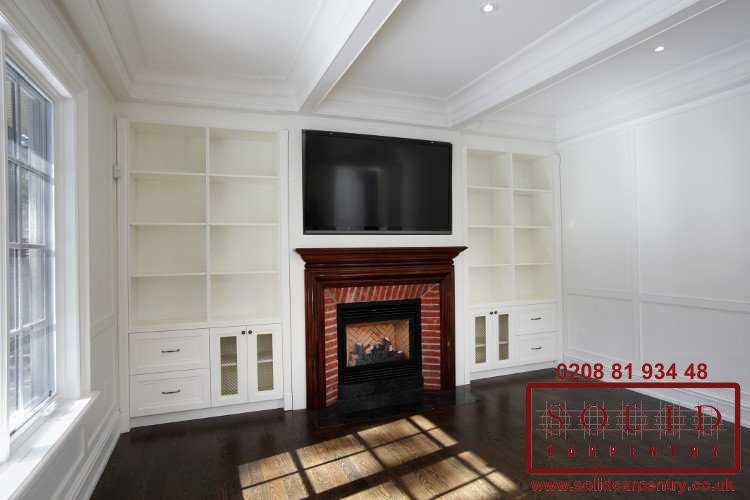 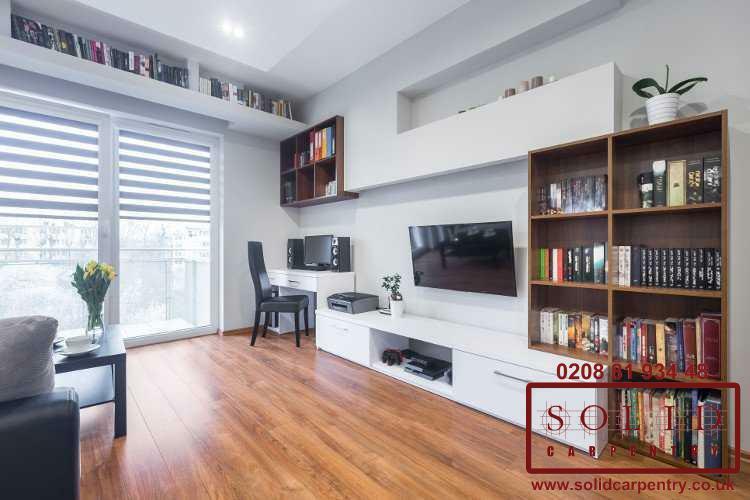 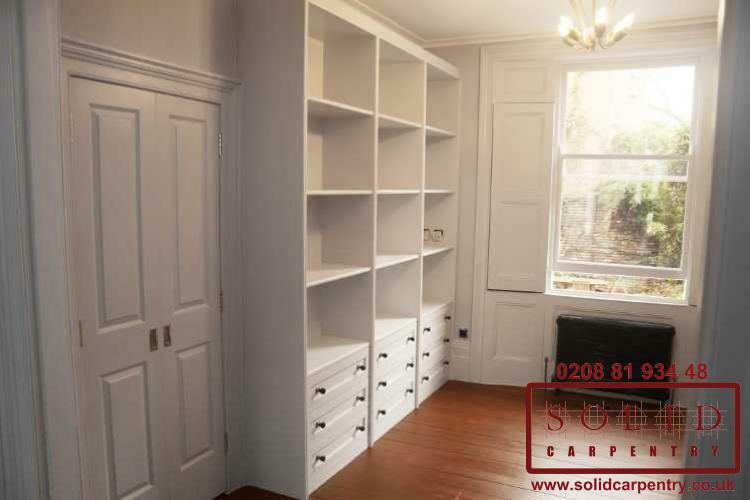 As you can see from our portfolio pictures at the left, once a custom bookcase is installed, the space looks fresh, tidy, and welcoming. 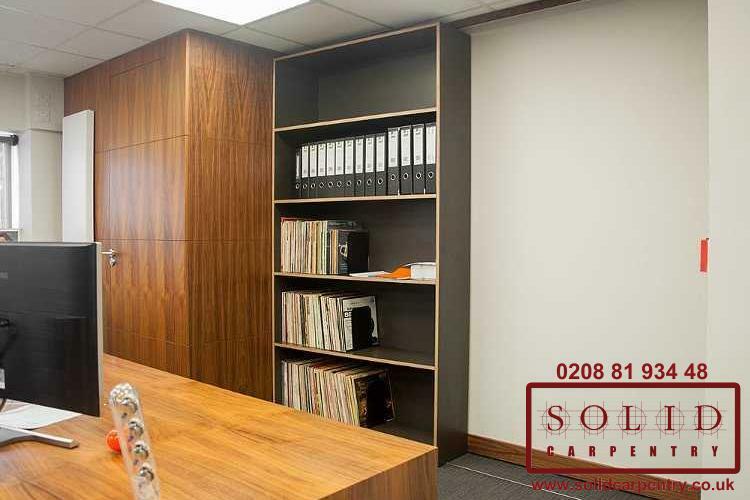 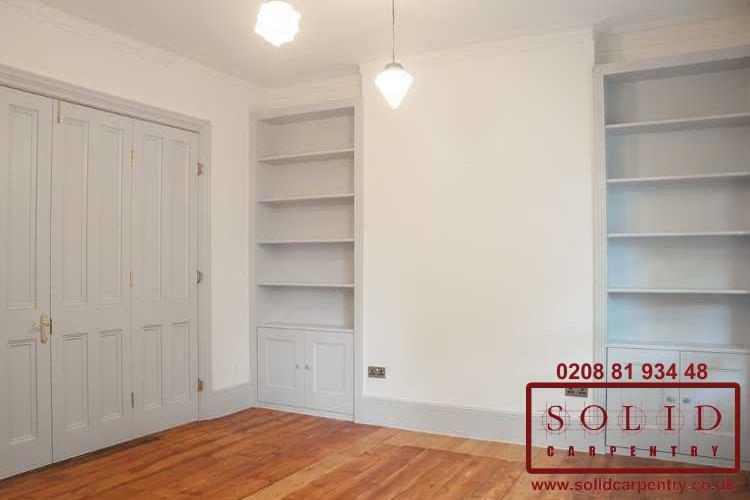 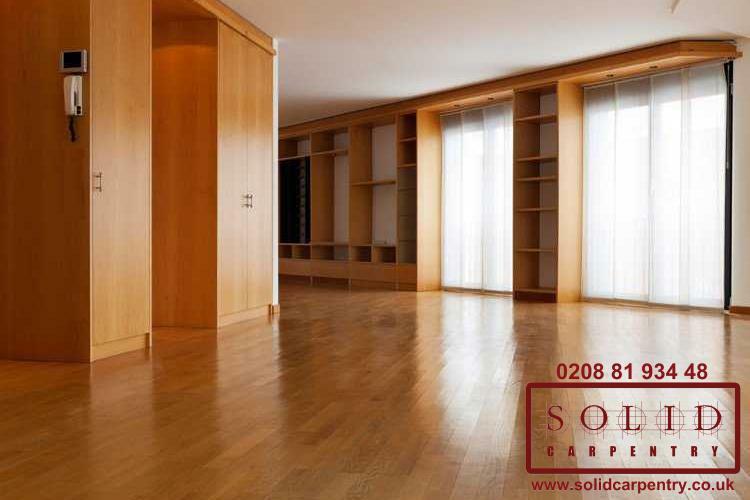 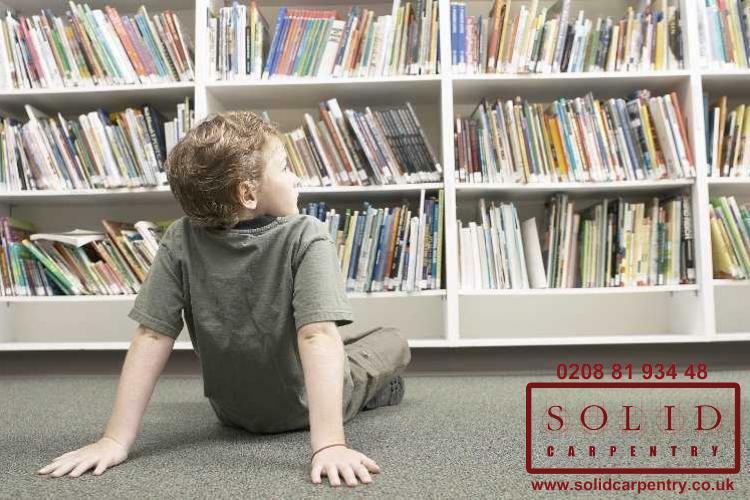 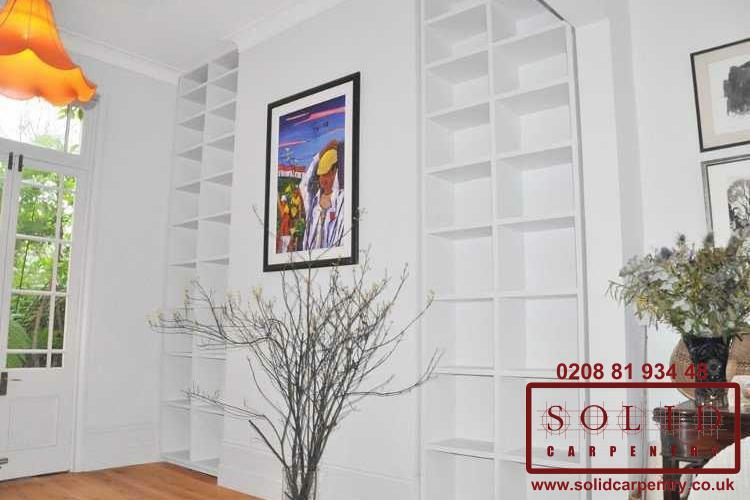 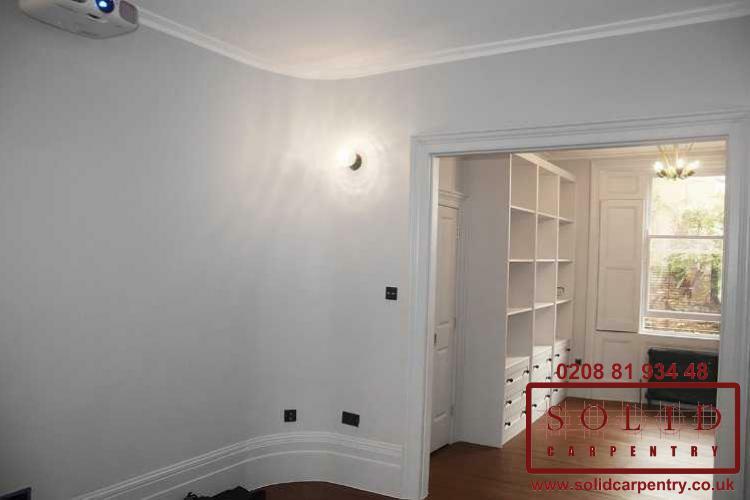 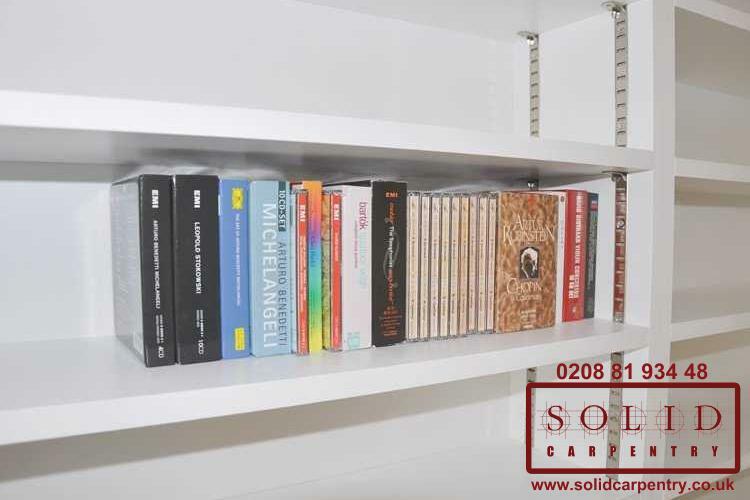 No matter the size and shape of a room, our team of expert London-based carpenters can design and install a set of beautiful bookcases, integrated or free-standing, to your exact specifications. 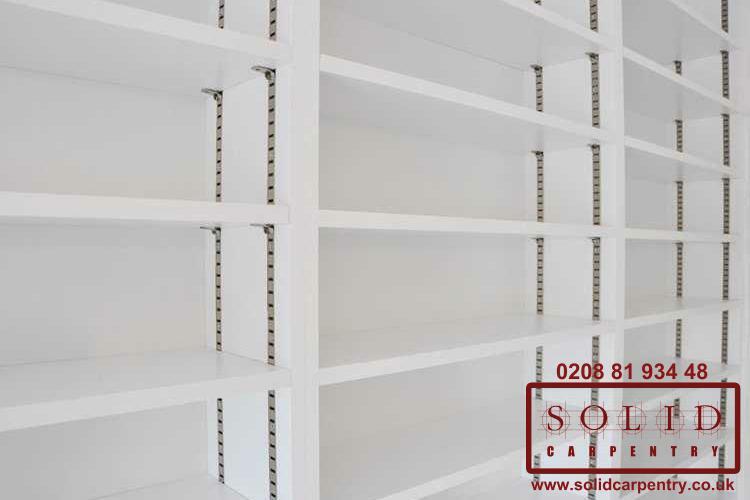 As you can see, we use only the finest materials and highest quality products to ensure our fitted bookcases complement the design and décor of the room and are built to stand the test of time. 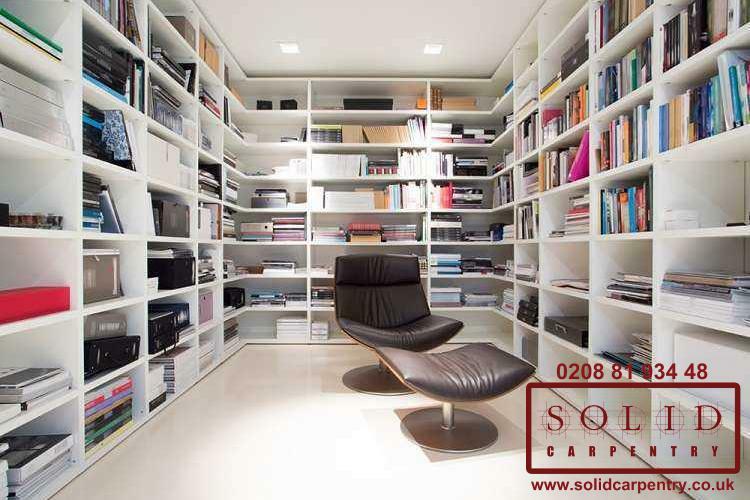 We work closely with our customers to design a bespoke storage solution that not only suits their available space, but also their lifestyle. 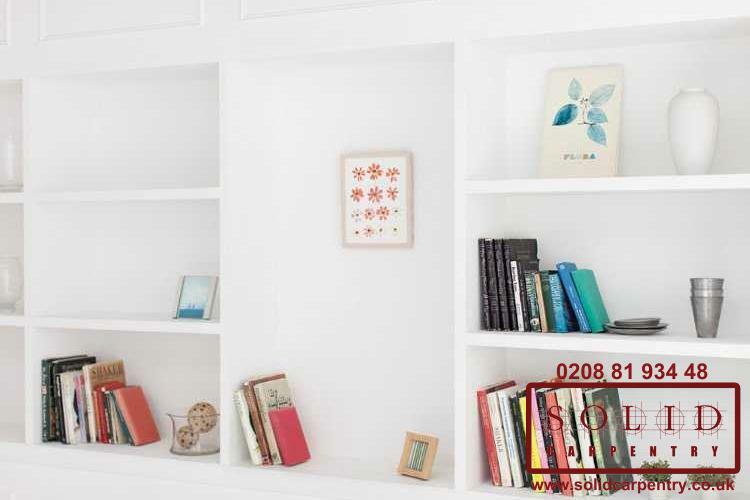 So whether you want to store antique vinyl records or a collection of framed family photographs, we can create a bookcase that meets your needs. 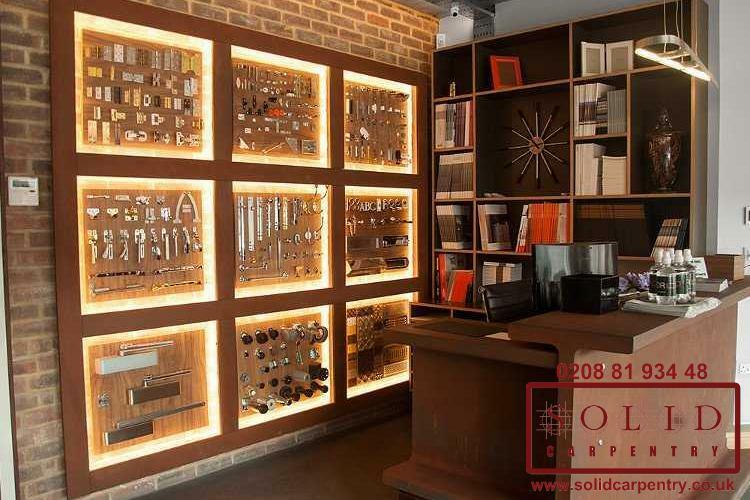 We can also fit integrated lighting so you can shine a light on your valuables or incorporate hidden compartments if you’d prefer to conceal them. 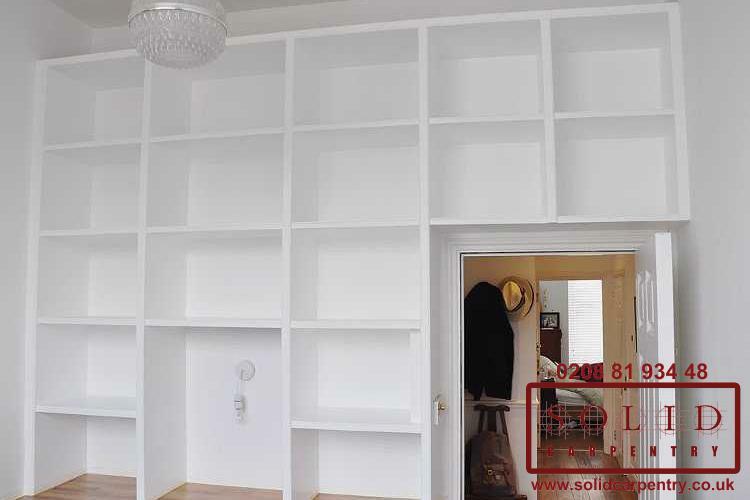 Along an entire wall, fitted into an empty alcove, or a freestanding structure, your hardwood bookcase can be installed exactly as you wish within your favourite room. 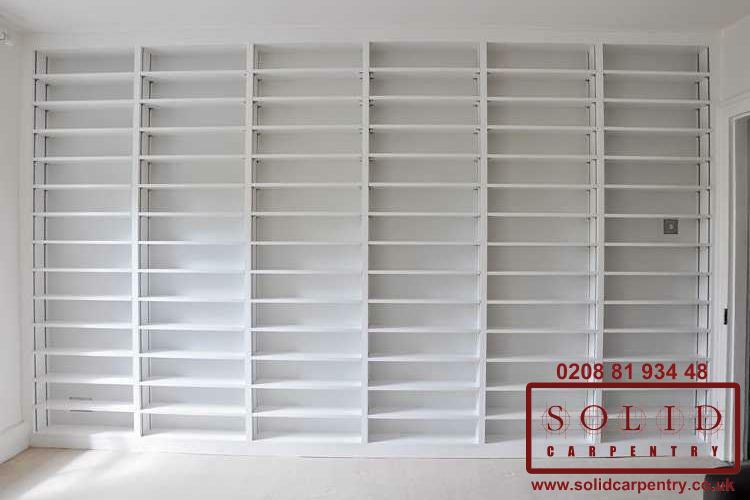 With more than 15 years’ experience, we have the expertise to install a made-to-measure wood bookcase of any size or specification so you can store your belongings neatly no matter the layout of your room – something you can’t get with mass-manufactured, flat-pack designs. 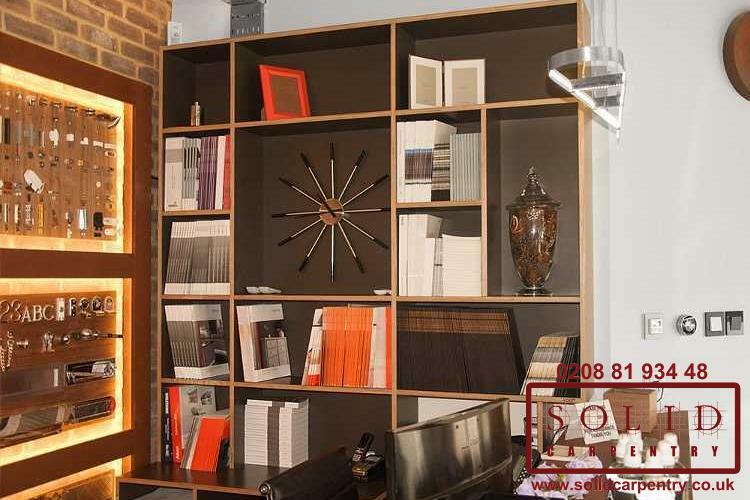 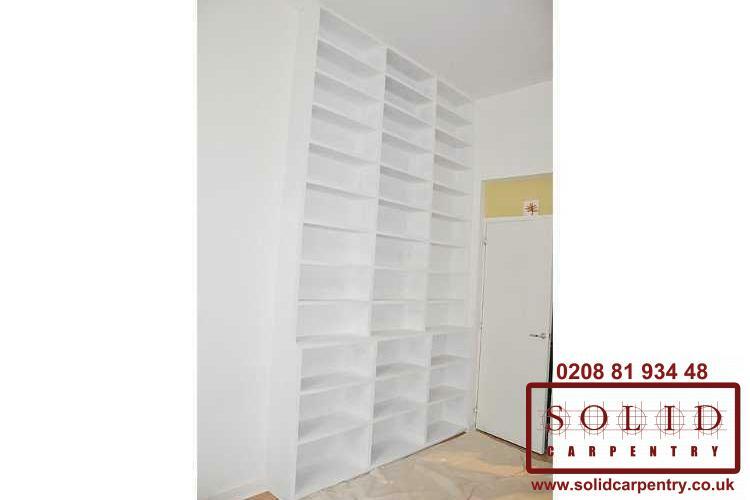 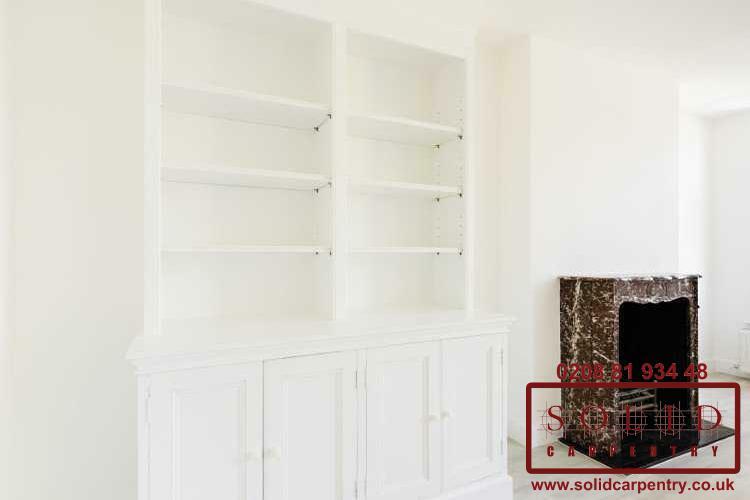 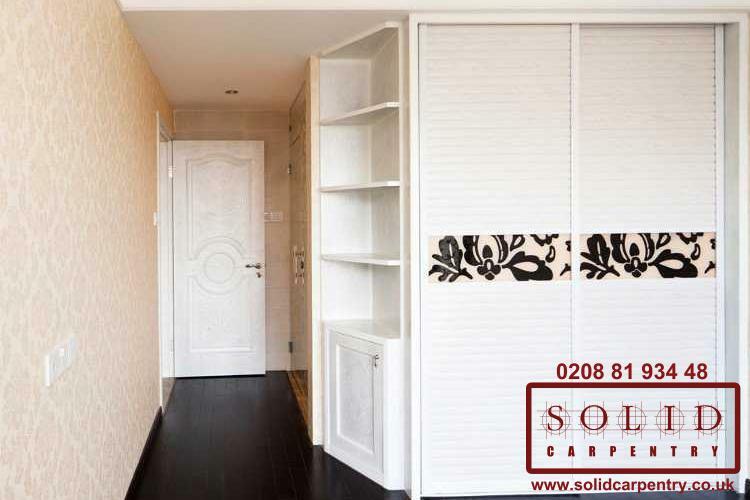 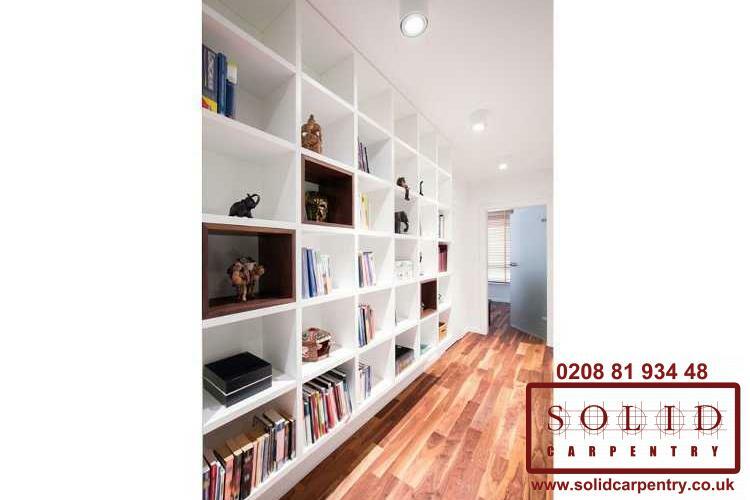 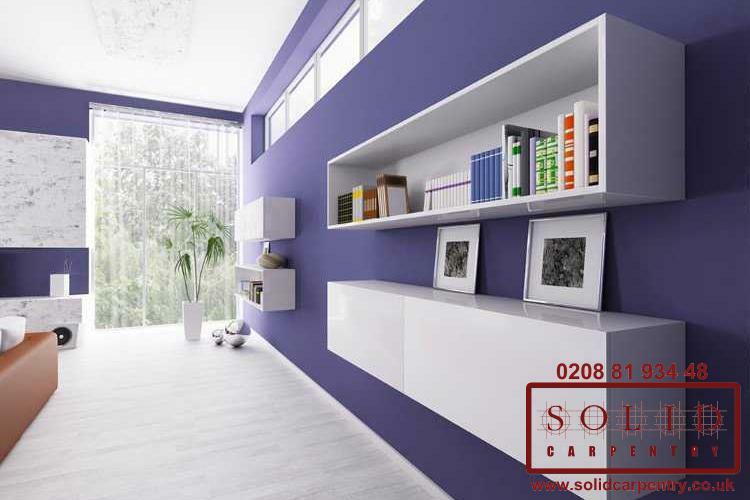 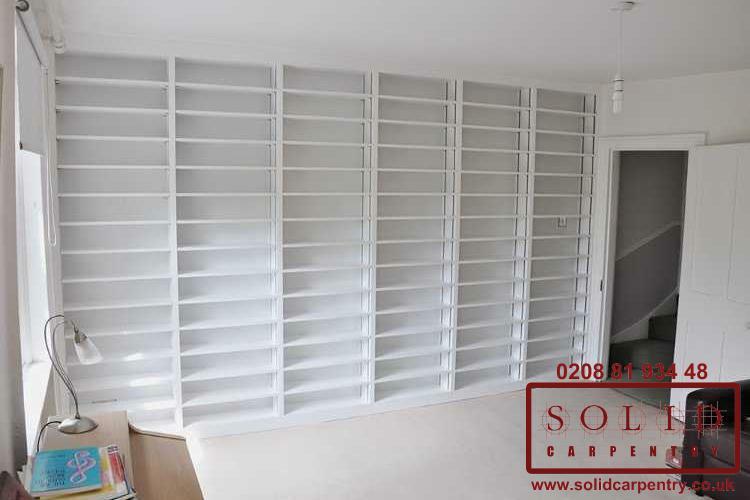 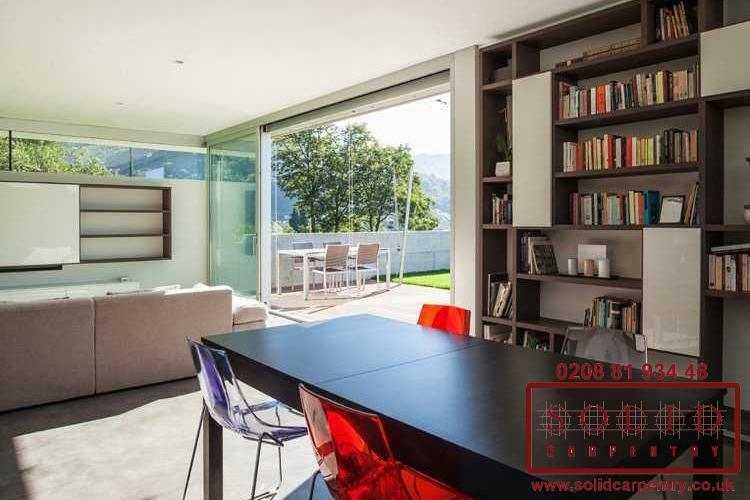 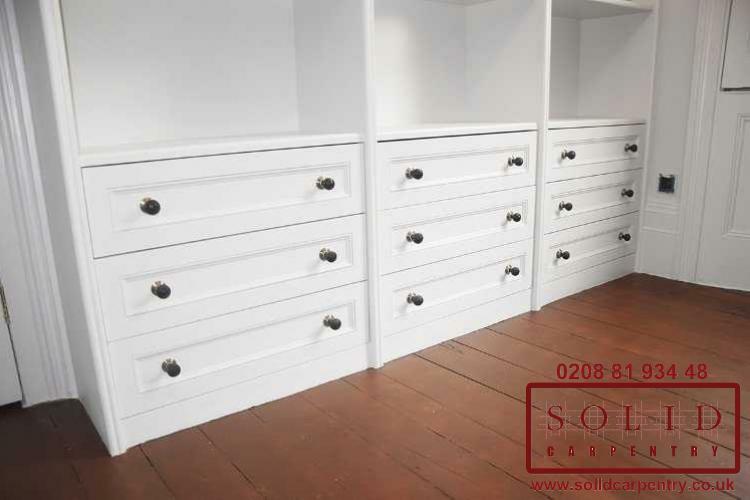 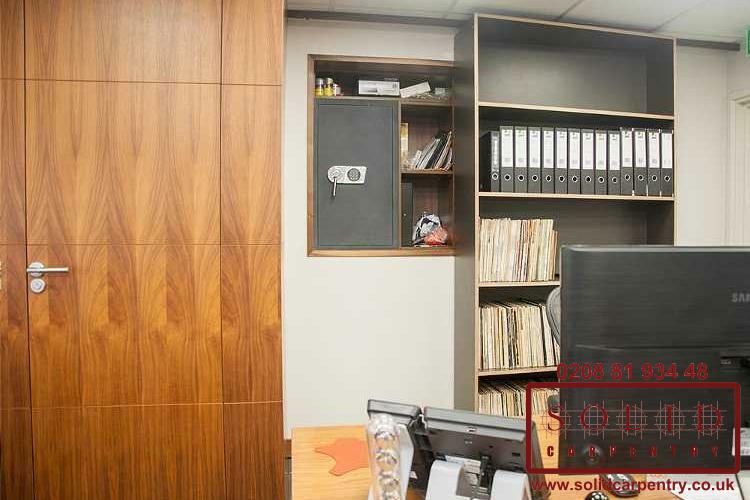 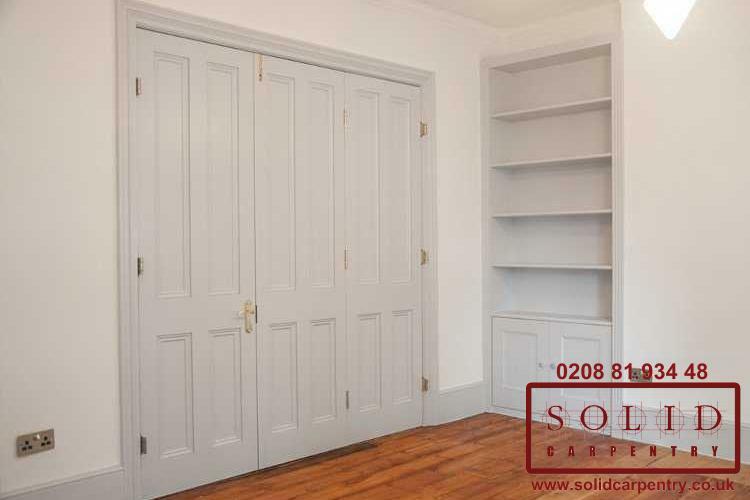 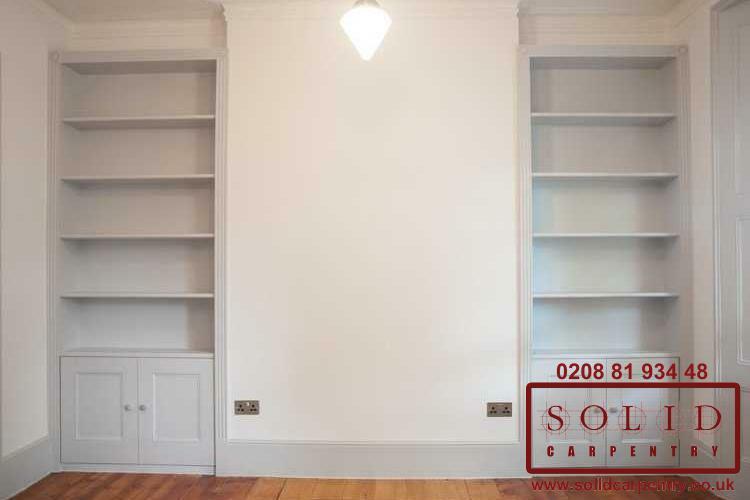 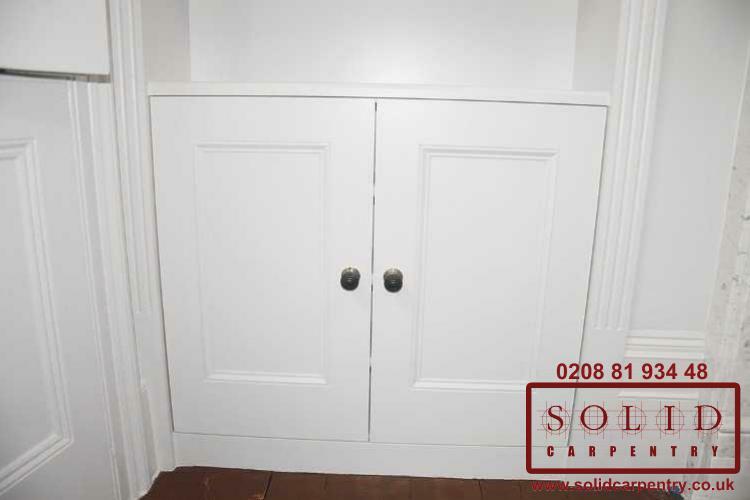 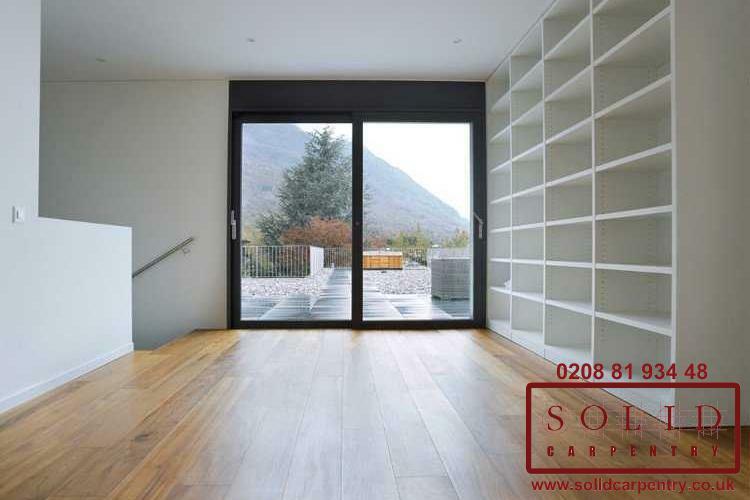 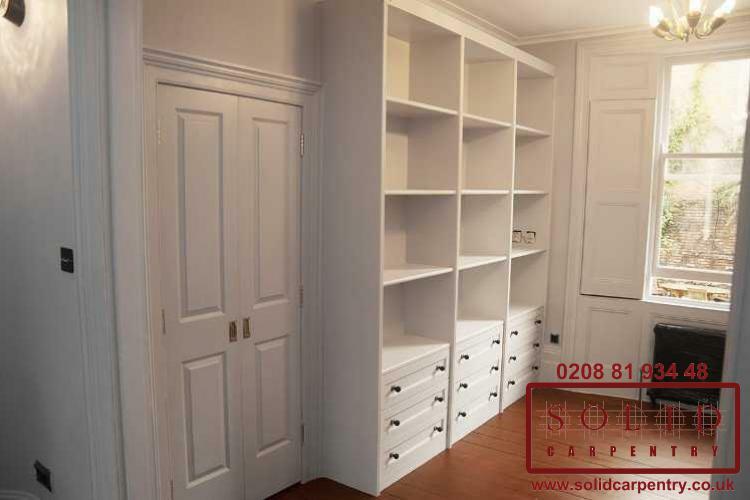 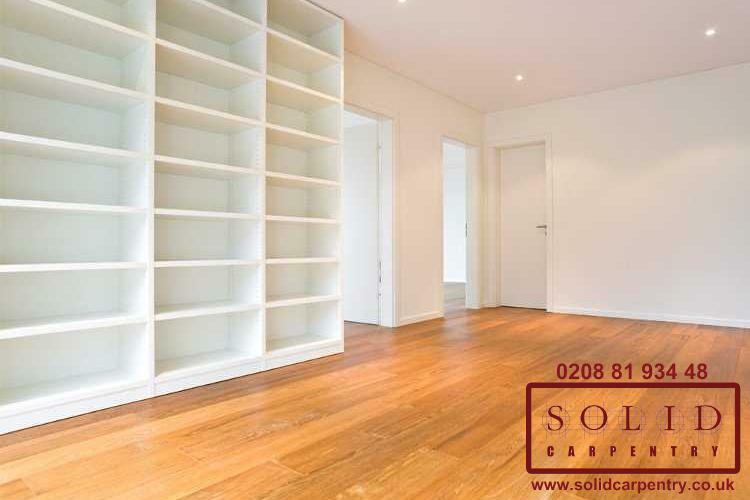 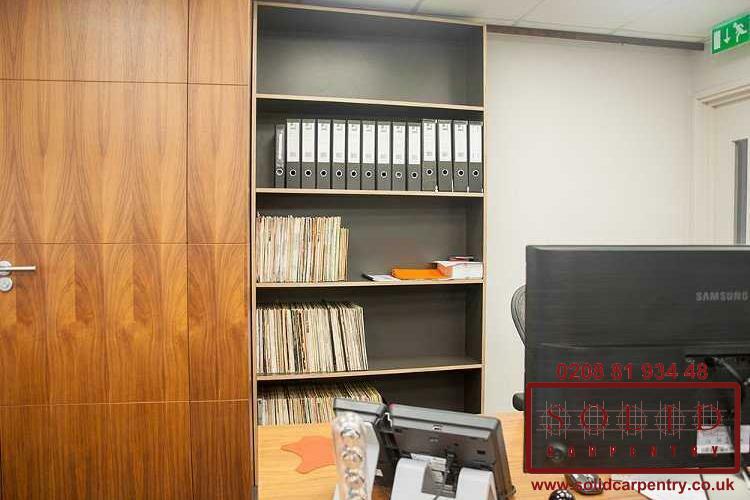 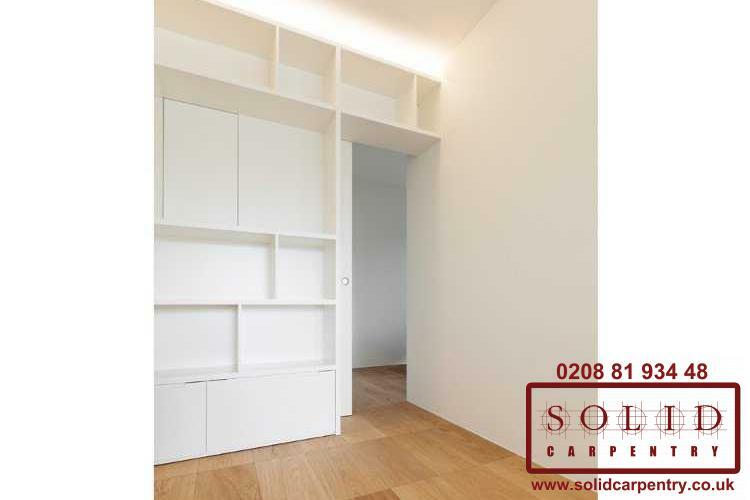 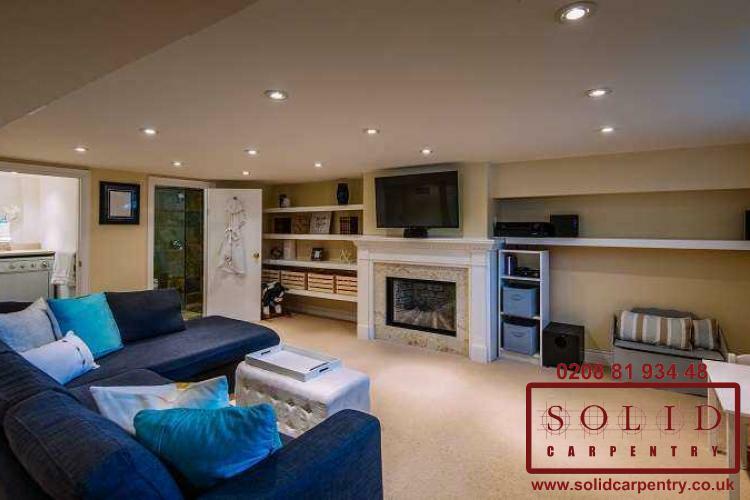 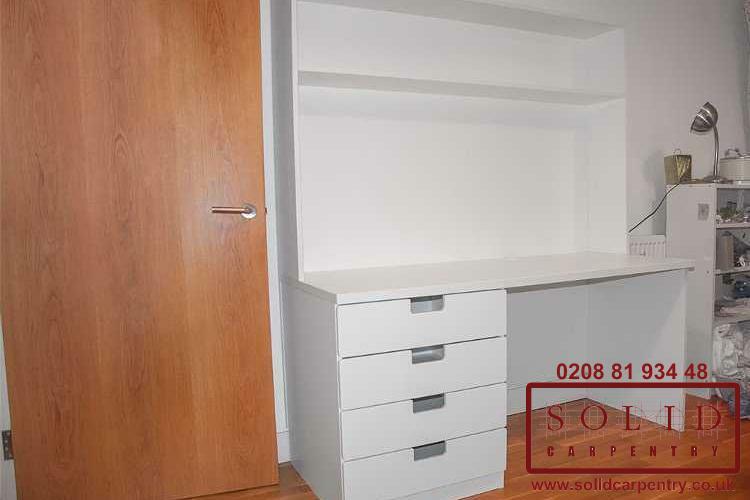 Whether you require bespoke bookcases for your home or office, you can leave it with the Solid Carpentry team to produce a product that fits into your space just as you envisioned. 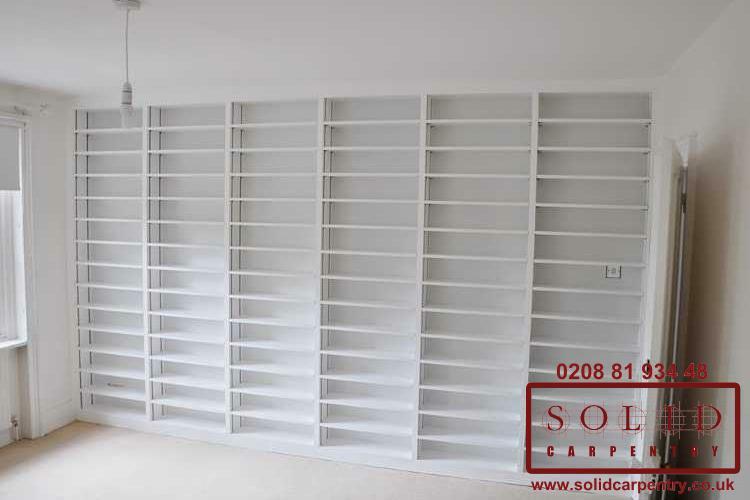 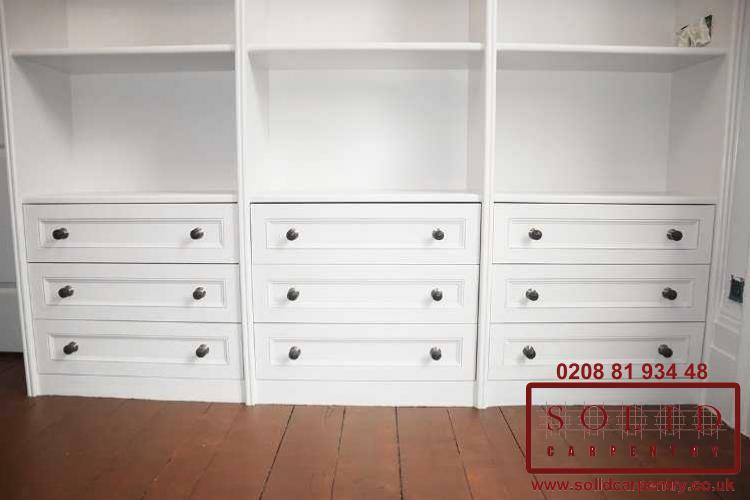 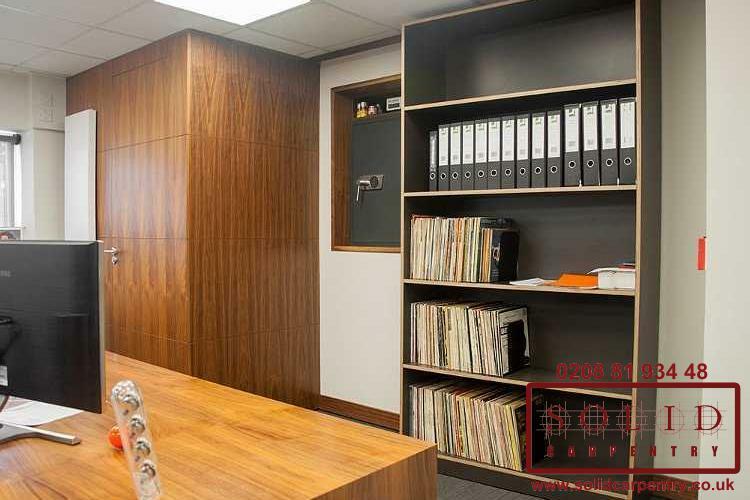 If you want to incorporate an effective storage solution into your home or office, you simply can’t go wrong with a set of custom fitted bookcases. 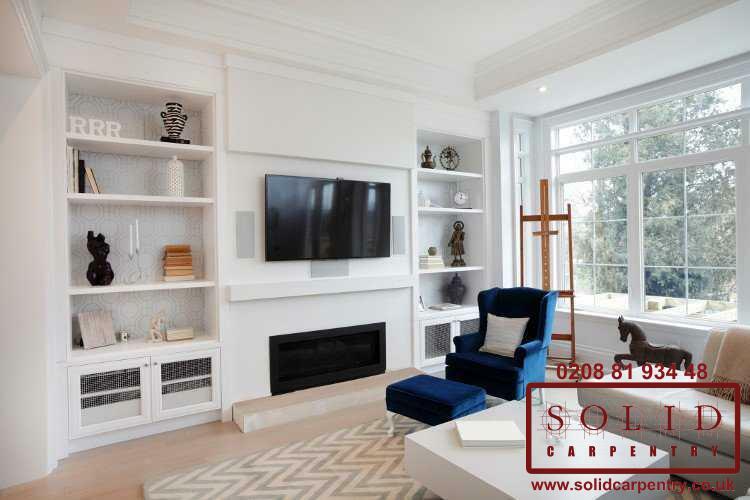 If you’re in London or the surrounding areas - contact us today to discuss your ideas and for a free no-obligation quote, or give us a call on 020 8819 3448.